Instant Pot Enchilada Soup with Quinoa, walnuts, mushrooms. 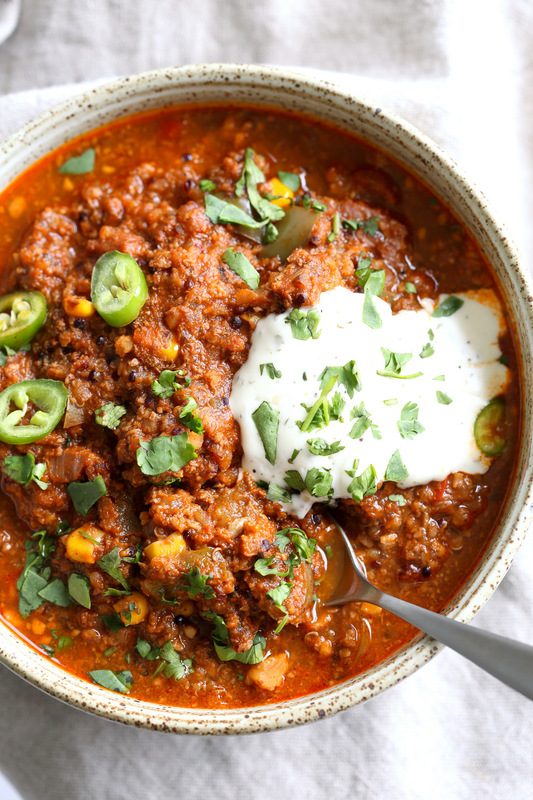 Pressure Cooker Bean-free Vegan Quinoa Chili with Homemade enchilada seasoning. Saucepan Option. Vegan Glutenfree Recipe. Soyfree Nutfree Oilfree option. The cold weather calls for bowls full of comforting soups and sometimes I like the..